What is going on in Venezuela is a tragedy. Unlike what we are led to believe by political leaders and partisan big media, this is not a battle to topple Nicholas Maduro for the sake of democracy. It is mostly another example of the attempts at regime change to bolster an American sphere of influence. We have seen a few of these in other places. The story used as a cover, is that Nicolas Maduro is hanging onto power against the wishes of his people, that he will not let go and he is ruining the economy. This has not stopped the Australian government from falling into line Behind Donald Trump. 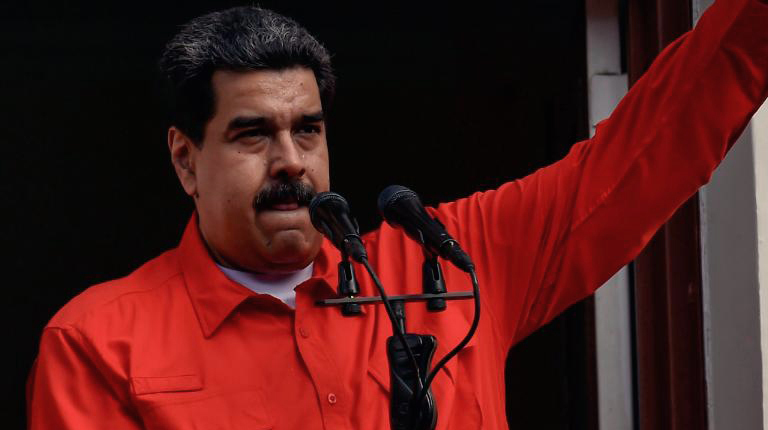 Being amongst the ranks of Latin American vassal states and Israel, the Australian government does what it is told, and has jumped at recognising opposition leader Juan Guaido as the real leader of Venezuela. The thing is, he did not win an election. In violation of all law, he swore himself in at an opposition rally. It was soon after he called on the army to stage a coup and hand over the reigns to himself. The small element of soldiers that listened were quickly stopped the the armed forces, which are loyal to the laws of the land and the legal government. 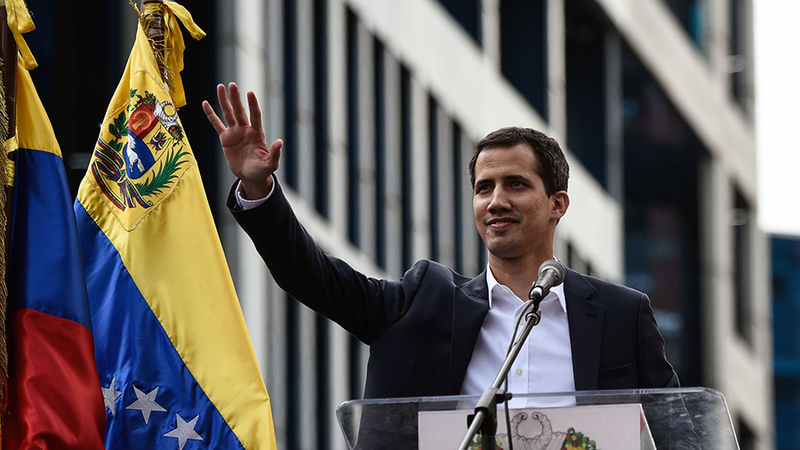 Undaunted, Guaido continues to call for a coup. It comes to light that American officials had secret talks with the opposition shortly before all this happened. By implication, those who are recognising Guaido’s claim, are also backing a coup. So much for the self-proclaimed defenders of democracy. 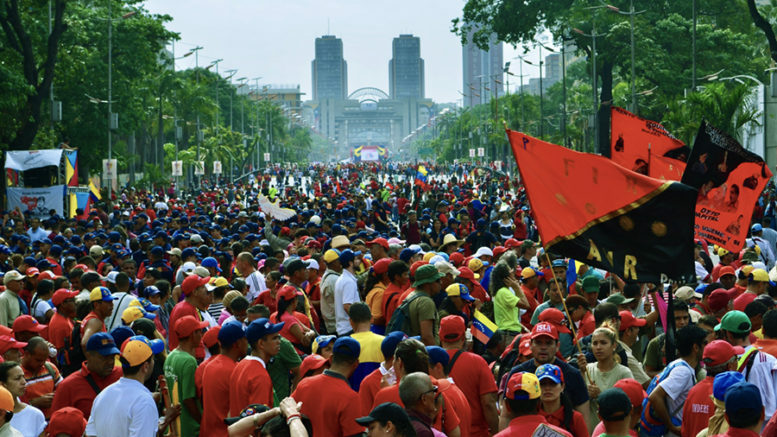 Another thing that the partisan politicians, Murdoch owned media and other similar major outlets are not telling us is, that inside Venezuela, there is a lot of support for Maduro and the Socialist Party government. Guaido’s stunt has pulled big numbers into the streets, to defend who they consider their legitimate elected president and their government. A connection between foreign interests and a section of Venezuelan society exists, because in the past a small elite enjoyed most of the privileges, and this was based on control over the economy and close association with mainly American interests. The coming of the Hugo Chavez and the Bolivaran revolution threatened this cosy arrangement. This is why most of the opposition is concentrated in the upmarket neighbourhoods, and has declared class war against a leader and government that has its base of support in the working class and poor neighbourhoods. The American-Venezuelan elite strategy has all along been built on two prongs. To never accept any political process that does not benefit them, even if it is within the law and existing constitution of the country, while at the same time, engaging in persistent economic sabotage and rampant intimidation of those considered Chavista supporters. Most of the deaths and injuries that have occurred during the period have been at the hands of this opposition. Man set on fir by anti-Maduro protesters in 2017. He later died in hospital. This is an anti-Maduro report. It is still horrifying. Escalating its direct role, the United States has announced sweeping strengthening of sanctions that are already in place. A special target is PDVSA, the state-owned oil company, which was once owned by American oil corporations. Washington is also threatening direct military intervention. It is part of the strategy, undoubtedly worked out well before the recent events. Guaido’s act only has a chance of succeeding, if it is enforced from outside Venezuela. Respect for international law and proper behaviour as a global citizen nation has been thrown out the window. If the strategy succeeds, Guaido will only form what will be no more than a puppet government. Standing in the way are the majority of the people of Venezuela, who are not remaining idle, but building their response. The threat of spiraling foreign intervention ending up in a military invasion is being checked by the unwillingness of most countries to support the American led strategy and its violation of international law . Europe is trying to sit on the fence, by giving Maduro some time to organise a new election. Russia, China and Turkey have come in hard, attacked the role of the United States in this, and warned that there will be consequences to an invasion. They are backing the Maduro government. Venezuela has now become a major global hotspot, threatening global security and peace, increasing the risk of going to the brink and over a precipice. There must be a pullback from confrontation, through insistence that the politics of regime change does not belong or is acceptable in today’s world. The opposition has had some success in using economic hardship to sow division in Venezuela. The economic problems may not be the fault of the president and Chavista government. This does not matter. Some have listened to the promises that things will be better, if Maduro goes. The claim is now wearing thinner and the hard-line opposition, mainly based on the Democratic Unity Roundtable, is losing supporters. This stood during last year’s presidential election and the withdrawal and participation of a section of the Roundtable. Other opponents have abandoned the strategy. There are those who while still supporting the Chavista revolution, are critical of Nicolas Maduro and Socialist Party government. The more obvious the foreign intervention becomes, the greater the tendency for differences to be put aside and forge unity around the common purpose of countering the threat to the nation’s sovereignty and the brutal return of the old elite, who are making it clear that they have no respect for the rights of anyone else. It is the weakness faced by the plotters that has pushed them to take a terrible gamble. Their success is far from assured. Be the first to comment on "Justice and global peace demand that American led attempted Coup in Venezuela be opposed"